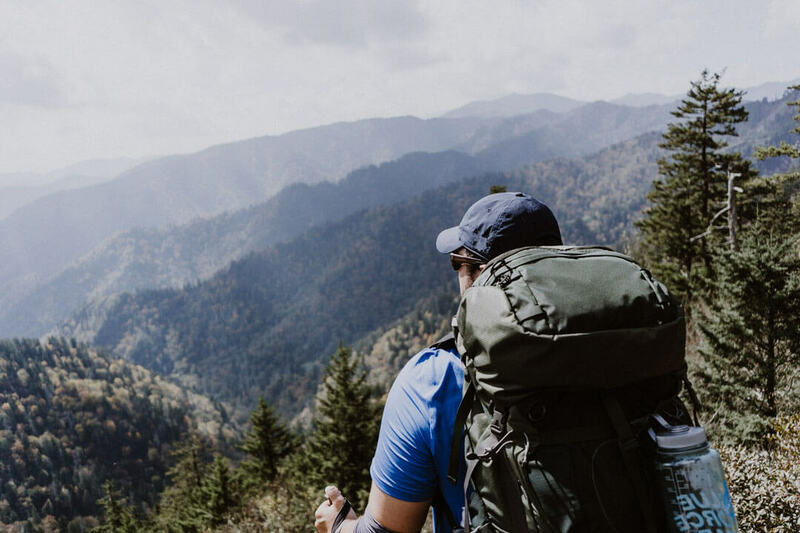 In response to the tragic wildfires in the Smoky Mountains, we are listing companies that are donating locally and directly to help wildfire victims, keep the Smokies Mountain Tough and Smokies Strong. 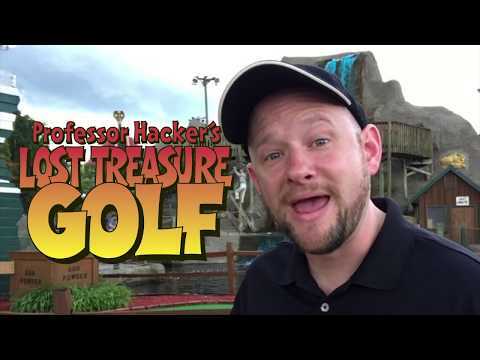 If you would like to add your own products to the list, post in the comment section at the bottom of this post with the company name, link, charity (if applicable), and how much is being donated from the sale. 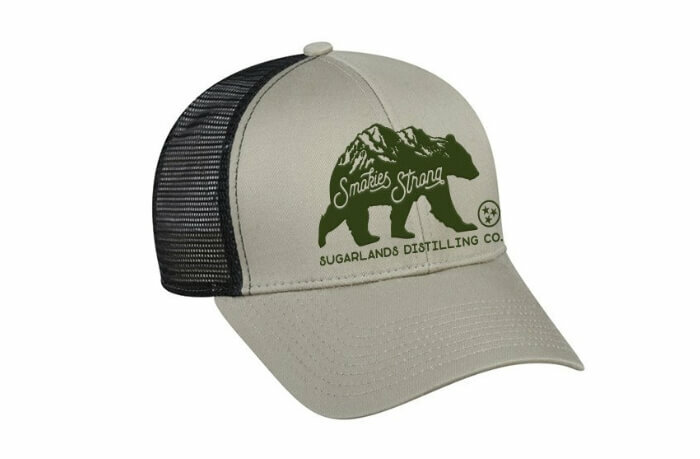 Sugarlands Distilling Company has created a short sleeve t-shirt in three colors, as well as a hat. By purchasing one of these items, 100% of the proceeds will go to area residents affected by the fires. You can donate directly and buy them here. Local family portrait photographer, Christine, has created a “Before the Fire” print set. From your $25 purchase, $20 will go directly to a family that lost their home in the wildfires. Learn more about the set and buy now. 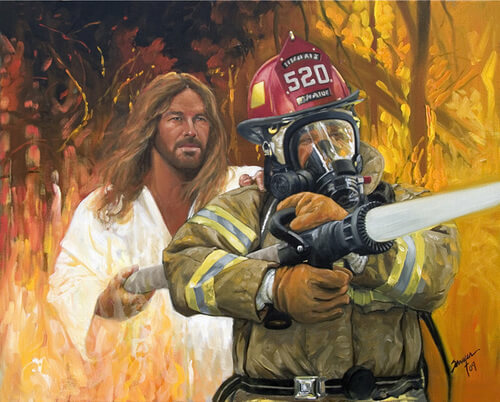 One or more charities that are serving fire victims will be given profits from the sale of “The Fireman’s Prayer,” the Gatlinburg Edition. They are working with the Gatlinburg Fire Department to determine the charity. 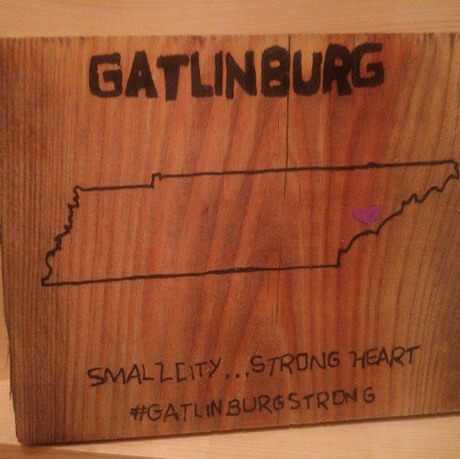 Any Gatlinburg Edition prints can be customized for those you want to remember or honor at no additional charge. 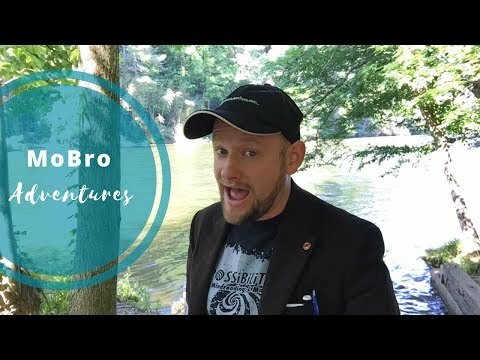 Learn more and buy now. 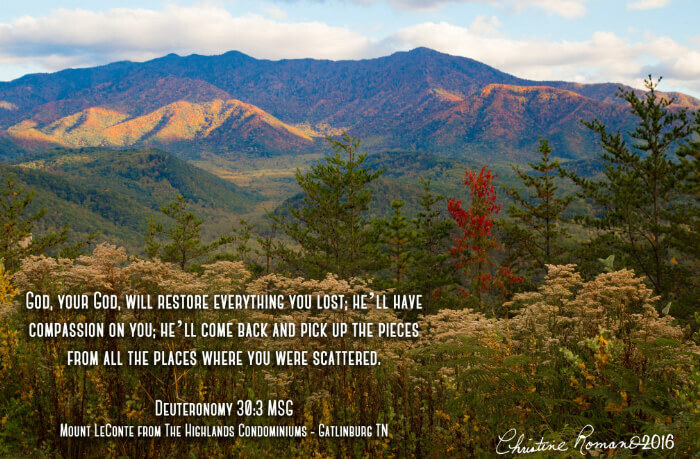 Art 4 God is a member of the Great Smoky Arts & Crafts Community. 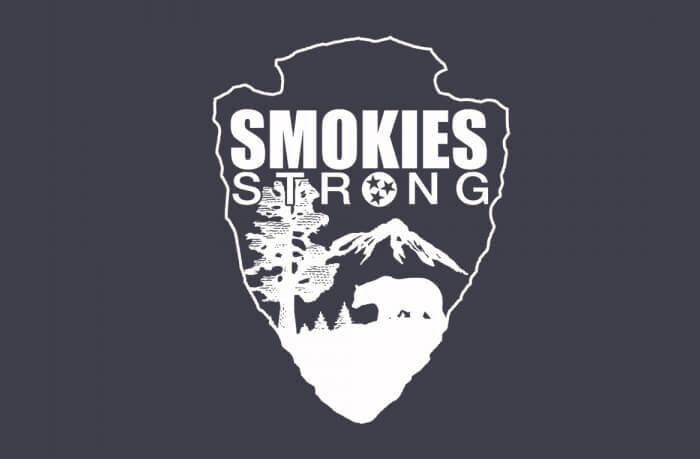 Their “Smokies Strong” shirt and decal profits will be directly donated to local families and area charities. If you don’t want to buy anything, but would rather donate directly to charities, you can also view a list of charities that support wildfire victims from their website. For the month of December, 10% of all sales will be donated to a charity that will help rebuild Gatlinburg, TN. You can view Kimberly’s Etsy store to buy items here. She is also a member of the Great Smoky Arts & Crafts Community. Based in Toney, Alabama, The Camo Frog will be donating 10% of proceeds to the Dolly Parton “My People Fund.” The My People Fund will directly benefit wildfire victims that lost their homes by proving $1,000 each month for up to six months so they can get back on their feet. The Camo Frog donation effort lasts through the month of December. 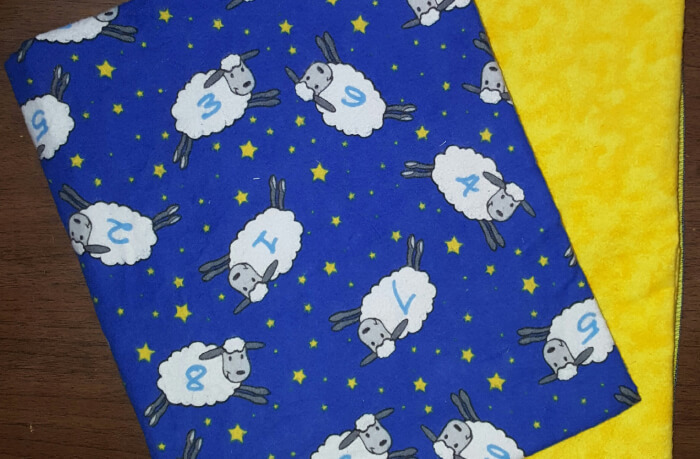 You can view the Etsy store and buy items like handmade stockings, receiving blankets, and baby bibs. 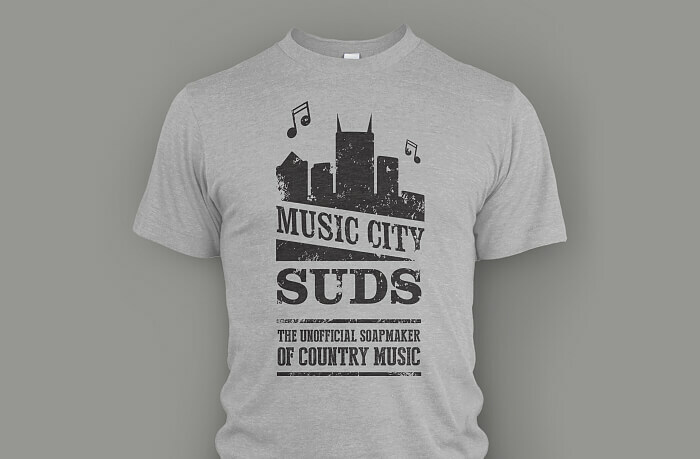 Until December 25, Music City Suds will be donating 100% of all apparel proceeds to the Community Foundation of Tennessee Gatlinburg Emergency Response Fund. 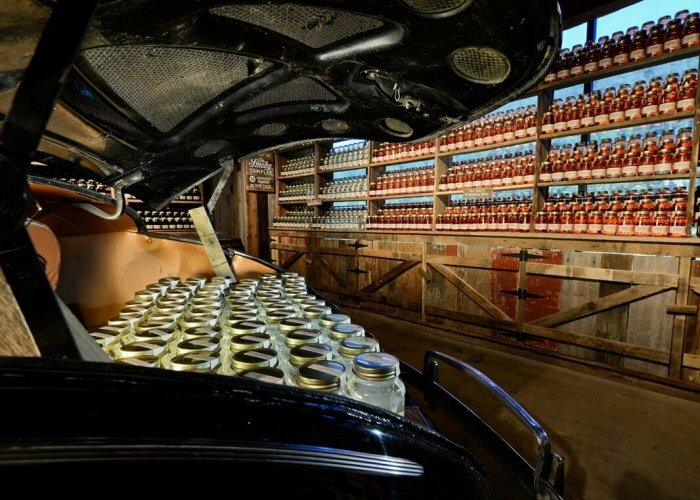 Music City Suds of Nashville, TN, is known for custom soaps for some of country music’s biggest stars. 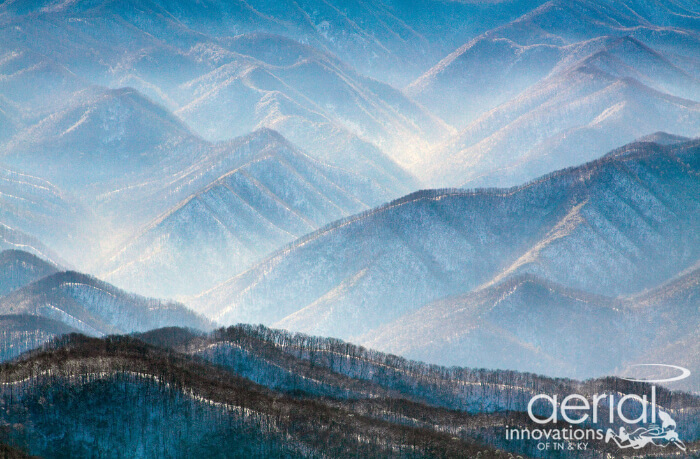 Purchase a print through December 21, 2016, and Aerial Innovations will match the net sale and donate to the Sevier County Fire Relief Fund. Aerial Innovations is based in Nashville, TN, and specializes in both aerial photography and traditional photography. Zuke’s Woodworkz created a special sign available for purchase. The sign is $10, with $8 going directly to a fund for two families that are connected to Zuke’s that have been affected by the wildfires. The other $2 covers the materials. 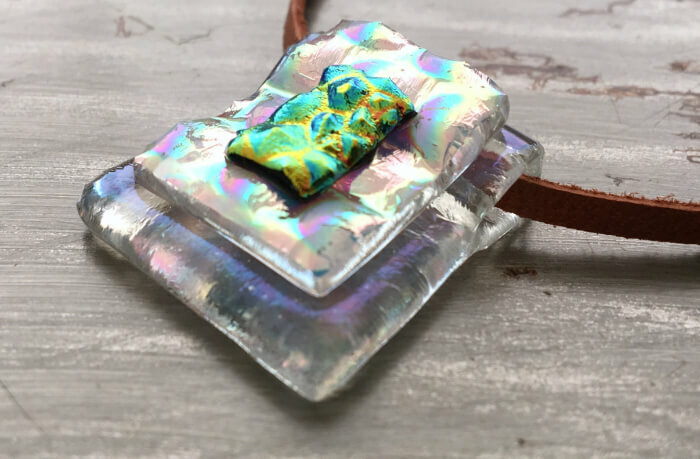 You can purchase in their shop at 680 Glades Road Unit #4 in Gatlinburg (they are a member of the Great Smoky Arts & Crafts Community) or online. 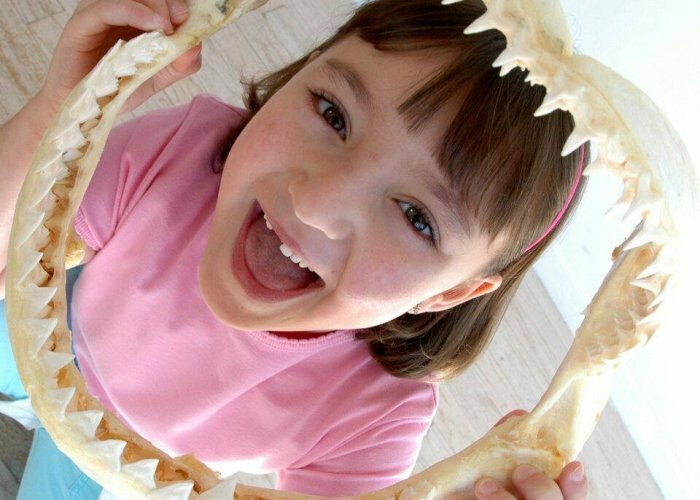 This pop-up website was created by Elkmont Trading Co.’s team in Knoxville, TN. 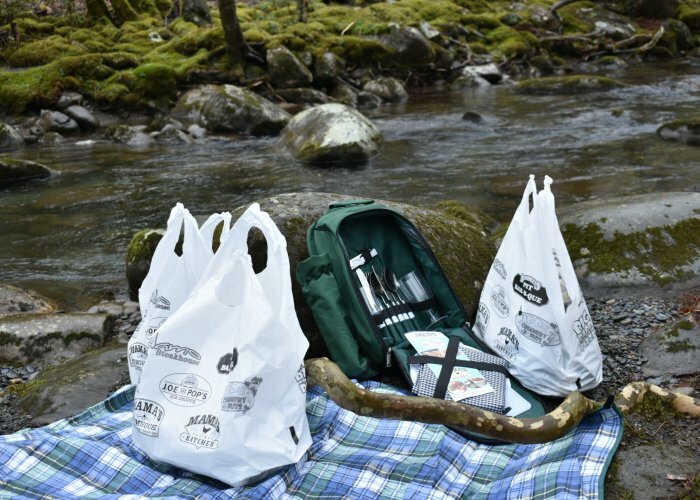 Proceeds from the Smokies Collection will go directly to the My People Fund. They will update via mailing list showing delivery of funds and other relief efforts that were benefited by your purchase. You can buy apparel and decals on the website. 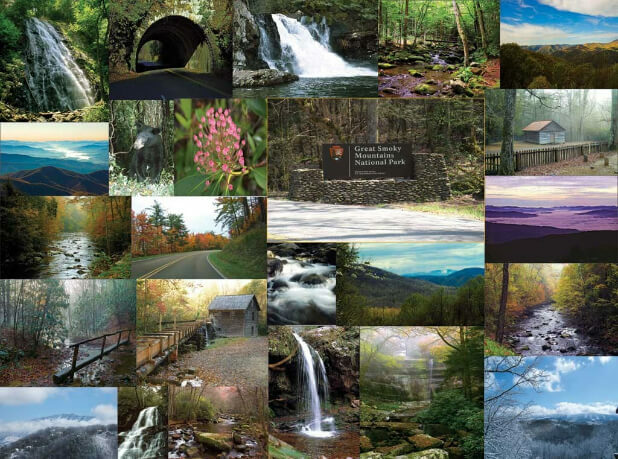 Located in The Island, Puzzled will donate $10 of every 1,000-piece “The Great Smoky Mountains” puzzle bought in the store or online on their Facebook page to the Heal & Rebuild Project. 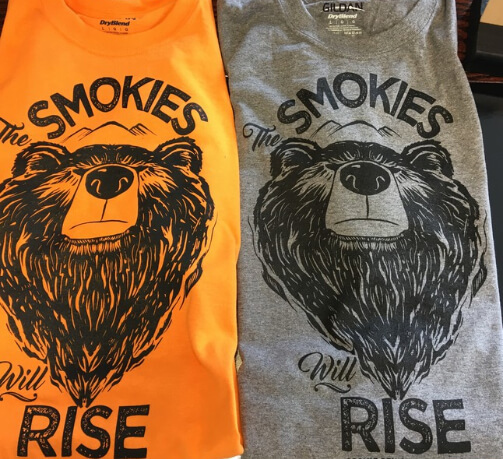 The Cosmic Pen Studio, where you can have digital caricatures made on-site for you, has come out with “The Smokies Will Rise” t-shirt you can buy to benefit wildfire victims. 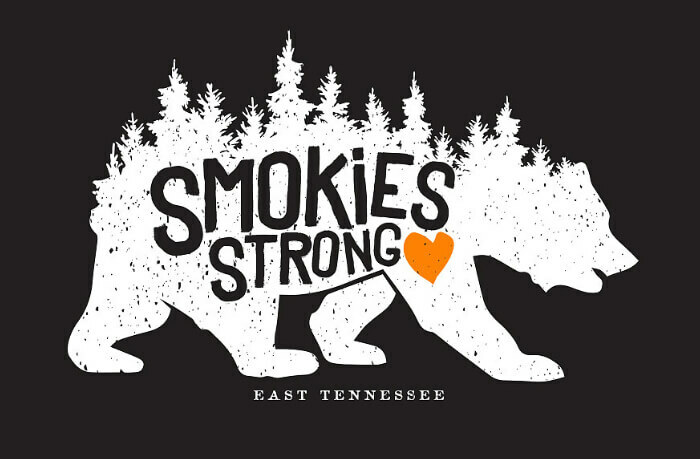 The shirts cost $15 each, and $10 of that will be donated to the Smoky Mountain Wildfire Relief. If you would like to visit their store and purchase the shirts, they are located in The Island in Pigeon Forge. Located in Knoxville, TN, The Southern Market is selling an exclusive bracelet, created by Tennessee artisan Susan Armstrong of Hunny Hush. 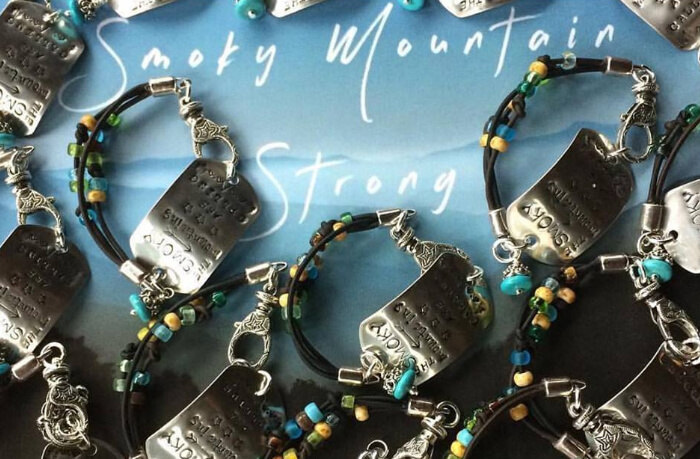 50% of the sale of these special hand-stamped stainless steel dog tag bracelets (limited supply) will go directly to the Gatlinburg Relief Fund. They are available in the store. 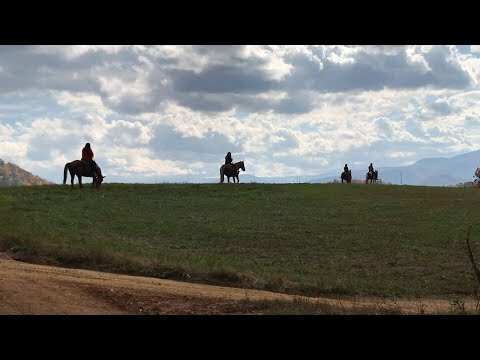 You can learn more about them through their Facebook post. Buy #SmokyStrong stickers at BeBops in Sevierville, TN. They are $5 each and all of the proceeds will go to families that are displaced by the wildfires. Learn more by visiting their Facebook post. If you live in the area, there is a great list of supplies needed here, which also includes information on how you can help volunteer. 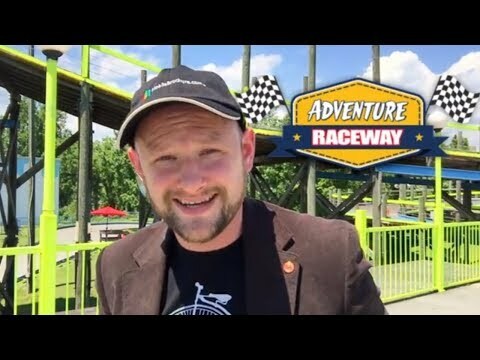 The website MountainTough.org was created in combination with Sevier County, and the cities of Gatlinburg, Pigeon Forge, and Sevierville, and lists both ways you can help (time, money, items) and get help if you are one of the wildfire victims.